Envisioned and inspired by Virginia Dwan as a place for quiet contemplation, the Dwan Light Sanctury is a collaboration between Virginia Dwan, Charles Ross, and Laban Wingert. 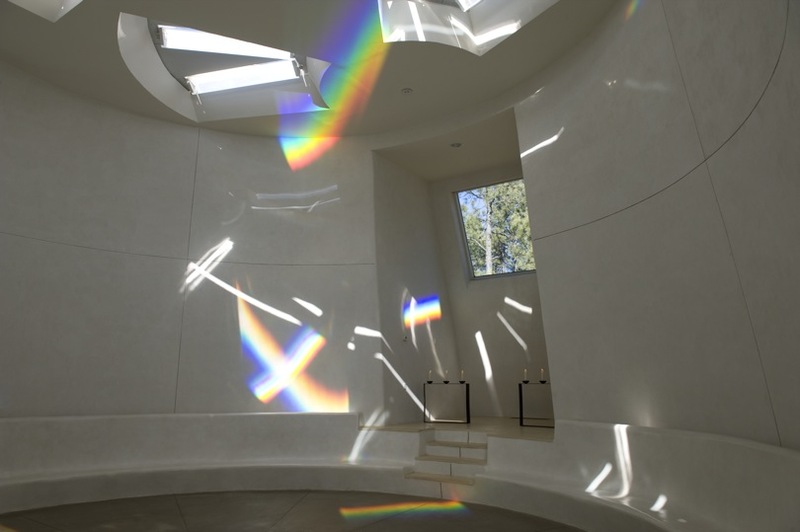 Each of Ross’s 24 large scale prisms is specifically aligned with the sun to project different spectrum events for every season. The spectrums evolve throughout the day as they move through the space propelled by the turning of the Earth.